LookBook is all about inspiring you to create a stylish home. LookBook has exclusive information, tips and hints from our team of Interior Designers to guide you through the latest interior themes and teach you how easy it is to recreate the looks. Global Fusion Living Theme – Living Area, callout with design suggestions. As we are now well into Fixing stage and only a few months away from completion, we have started to look into the major items that will need to be done soon after handover and moving in. This includes landscaping, in particular the driveway and crossover, outdoor area and paths around the house. Internally, the most important design item will be the window furnishings. The Metricon displays are a great source of design ideas and it was really good timing that they launched Lookbook. The best thing about Lookbook is the ability to view and search for design images and themes and then know which Metricon display homes that feature these themes. This will help to identify the displays that we are interested in and possibly visit as part of our research. 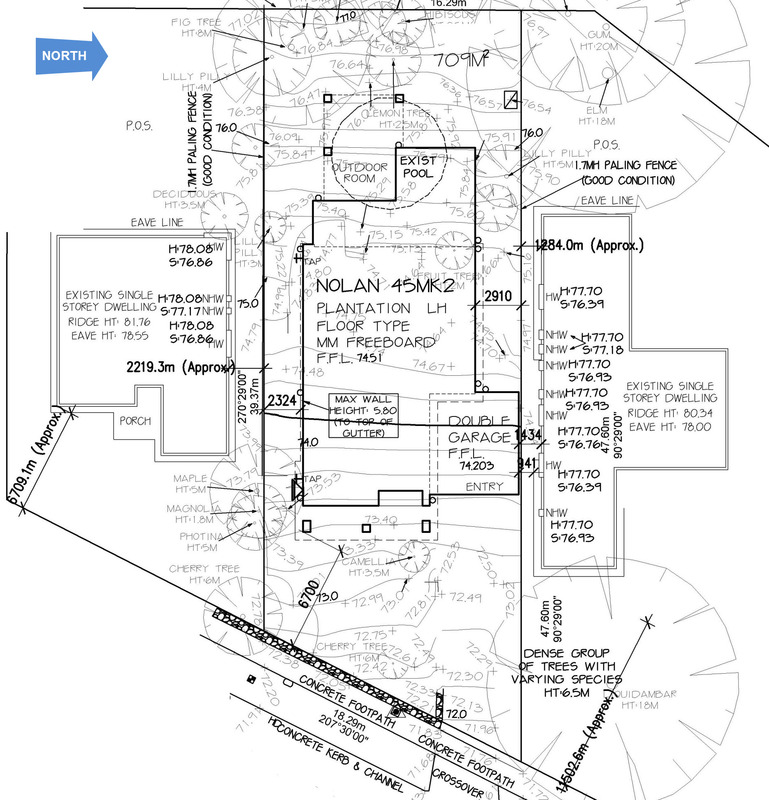 The new home we have selected for our knockdown and rebuild project is the Nolan 45 by Metricon. We have been looking at display homes on and off for the last four or five years and are now finally taking the plunge to build our dream home. We always seemed to be drawn to homes which had the same sort of layout that the Nolan offers and so when we came across the floor plan for the Nolan it seemed to tick all the right boxes give or take a few minor changes. Here are the floor plans for the house with some of the design alterations we have made to suit our needs. We have come across several other building blogs which have provided some of the inspirations for our design alterations. Relocate linen cupboard and wall to encompass toilet and vanity in one room with window on either side of the vanity. Increased garage width by 600mm. Added single rear roller door to rear of garage. Internal Cavity Sliding Door to Study (but contemplating stacker door). Internal Cavity Sliding Door to WIP. Microwave tower (didn’t like the original location where you had to bend down below the bench to access). Window Splash-back to stove area. Upgraded PROMO timber stacker door to bi-fold doors from dining to alfresco area. Increased alfresco area by adding option of grand alfresco with ceiling fan. Added alcove to WIR to master bedroom. Ensuite swapped toilet and shower position. Increased size of ensuite and gained larger shower. Closed off doors from bathroom to Bed 3 and 4. Relocate bath, shower and added double vanity to bathroom.